Beautiful Incentives: Eye of Horus Liner & Mascara Review & Giveaway! 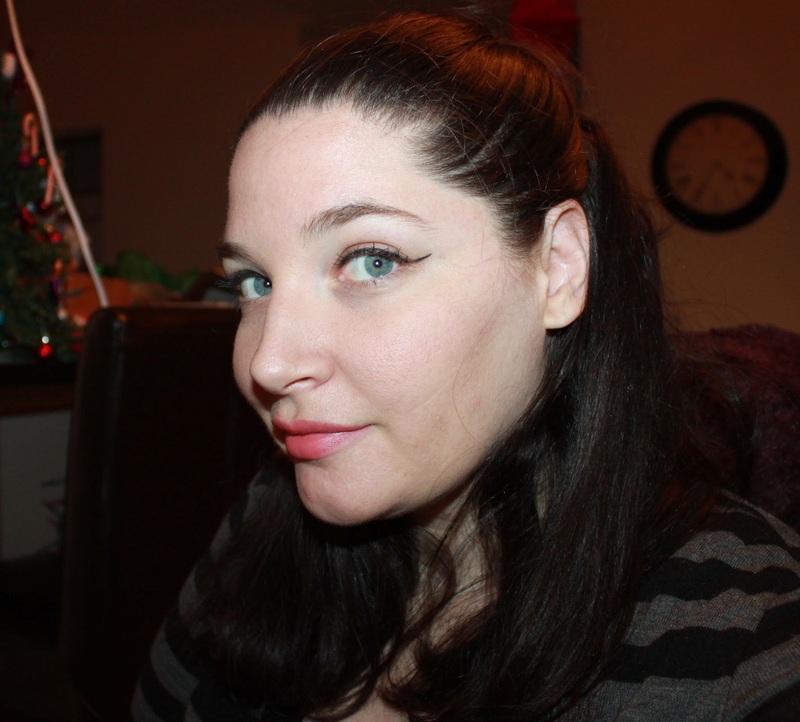 Eye of Horus Liner & Mascara Review & Giveaway! I am always in search of makeup that is natural & cruelty free. As we all know, it can be easy to find cruelty free, but hard to find products that are that and actually perform. Well, I had the pleasure of trying out one of the best makeup sets I have come across in a long time. Eye of Horus graciously provided me with an eye set for review. 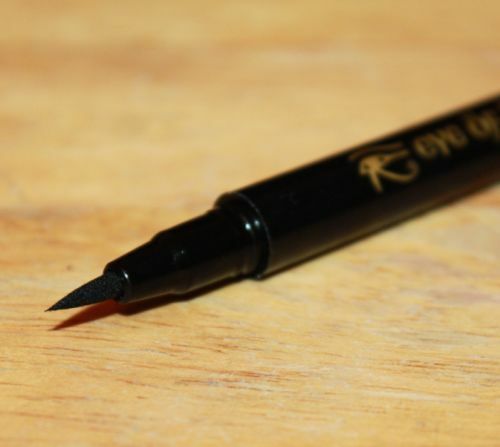 They are an all natural & paraben free line from Australia that has really nailed the chemistry of a good eye liner. I was thrilled with their product's ease of use. First of all, have you ever seen such pretty packaging? That alone is what really drew to this company. So sleek and elegant with it's presentation. I am a big fan of black anything and their Egyptian take on the design is gorgeous and unique. I was really impressed with that, let alone the performance of the makeup. I will go over each tool in the order in which I used them. 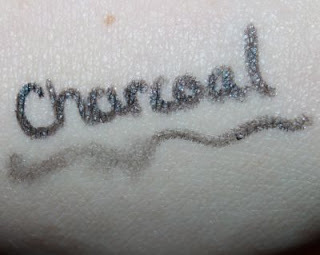 First up, is the Charcoal Obsidian goddess pencil. Hearing that name just put me into Egyptian goddess mode and that is the look I ended up going for. 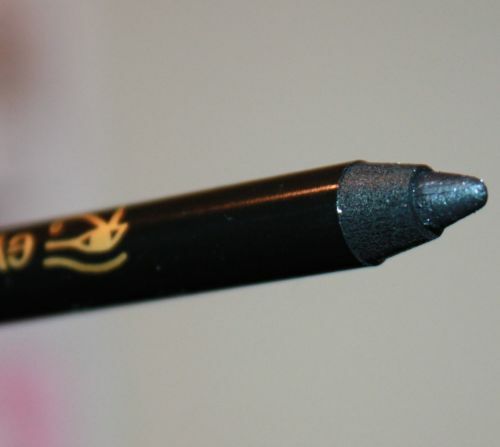 The goddess pencil is a very dark charcoal, which I used to line my top lid. 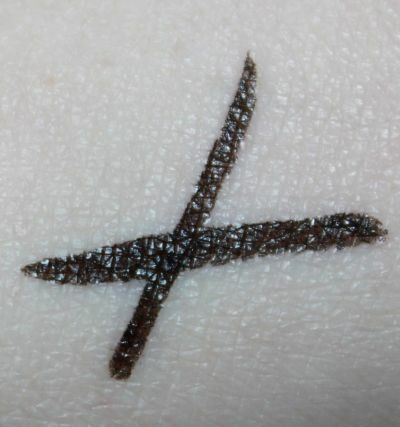 I then used the smudge brush to smoke that line just a little bit. Barely at all, as I wasn't going for the smokey eye. 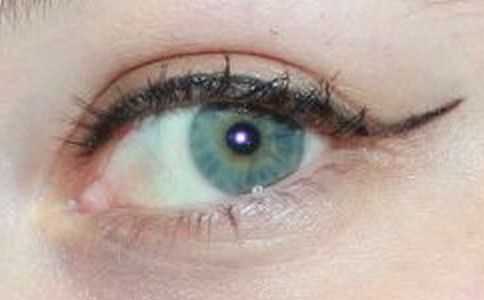 I followed that with a wing tip, using the very dark black liquid liner. I cannot express my love for this liner enough. It glided on like it was made of black butter. So smooth and silky and never had a problem with smearing. It flows with the pressure and angle you give it, so if you push harder and angle it more to the side, you will come out with a much thicker line. For myself, I wanted a pretty thin clean line and I got just that. Another thing, even though it is waterproof, it doesn't dry so fast that you can't easily fix a mistake. I love that about this liner. 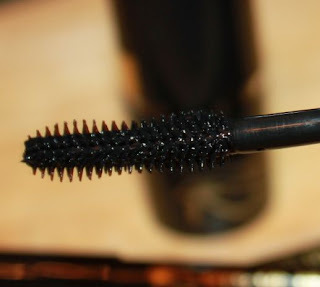 I topped everything off with the very dark and luxurious natural black mascara. A true black that really made my eyes stand out. 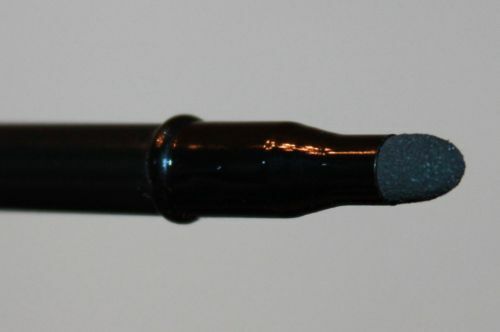 This formula definitely elongated my lashes and it mastered that ability to go on thick, but not clump in the process. Many mascaras have yet to do that. I haven't used the pencil sharpener yet, as I don't like to use many pencil liners, but it's eye candy to look at. As mentioned before, but worth mentioning again, I am THRILLED with this line. It is a bit pricier than I would normally consider buying, but I think it is worth the splurge if you can afford it. 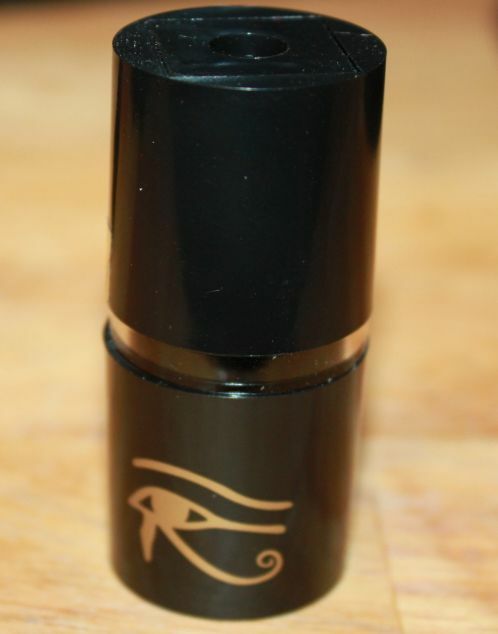 Eye of Horus definitely set itself apart from drugstore makeups. I've never felt liner go on so smooth in my life. The liner I would most likely buy again. I'm not as picky about mascaras and really don't need to spend that much, but I may change my mind the more I use it. You can also check out Eye of Horus on Facebook to keep up with the latest promotions. I'm excited to announce that 1 lucky winner will receive a gift pack from Eye of Horus, as part of my "I Love Me" event, full of giveaways on products I love, for you! I'm usually not a fan of liquid liner, but that looks like it goes on great. I just may have to give it another chance with this one. As always you look amazing! I absolutely love... like LOVE LOVE LOVE Eye of Horus eyeliner! Eyeliner is like a staple for me! I love your look! You look amazing! Off to check out their line of eyeliners and products! I love the smudge brush! I really need to check this stuff out!!! Thanks for the informative review! Looks like you had a lot of fun with this one, and yes you were very informative! Great review!! That set looks awesome. I need itttt. It looks really easy to do detail with! I love the liquid liner!!!!!!!!! 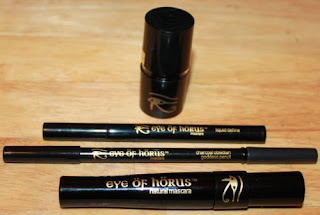 I am so excited about this giveaway & your review of the Eye Of Horus eye product review! I really love the look you achieved with these products. Thanks for this great giveaway! I really hope I win. I've been wanting to try this brand for a while now! i have never been good with any type of liner but would love to give this a chance.